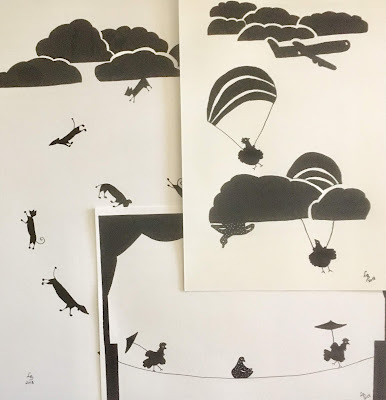 For a while now I have been wanting to do new versions of the Black & Illustrations that I showed last year's exhibition Story Time with SCBWI. So here they are; Raining Cats & Dogs II, Parachuting Hens II and Tightrope Hens II. I will be turning them into prints and cards shortly.